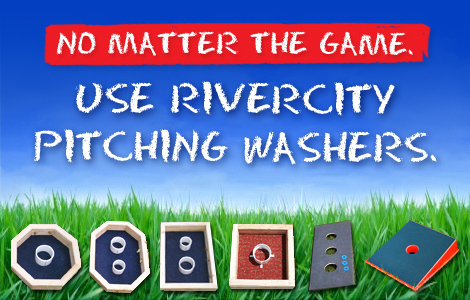 No matter the game - RiverCity Washers provide players with a high-quality product that is manufactured to withstand the elements. 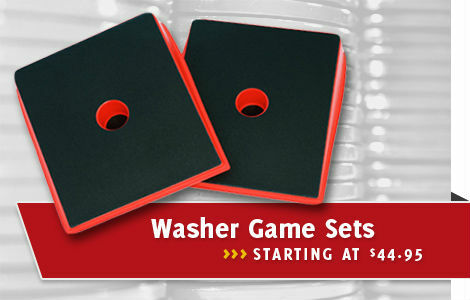 These pitching washers are made in the U.S.A. Each set includes four (4) washers, game and scoring instructions, and a collectible tin carrying case. No matter the game - RiverCity Washers provides players with a high-quality product that is manufactured to withstand the elements. Each set includes a collectible tin carrying case. Need a lightweight, all weather, durable washer game set? RiverCity Washers have developed a washer game to fit this need while offering a new spin on an old game! Trying to Lower Your Carbon Footprint? RiverCity Washers strives to utilize 100% recycled materials in all products. 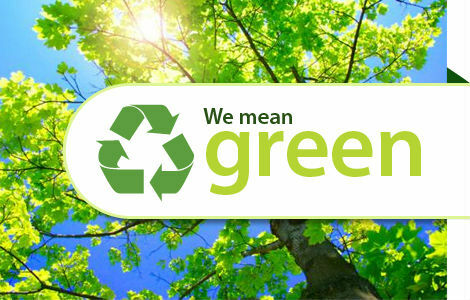 All of our products are recyclable and we encourage our customers to recycle. We do our part, to help you with yours! "We love our awesome washers! 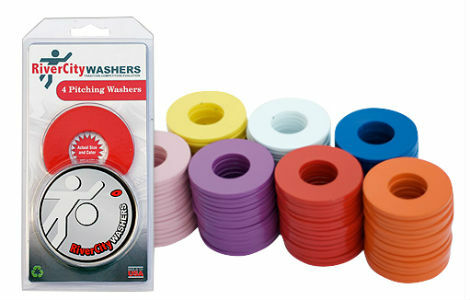 Thank you"
"This is the best set of washers I could have purchased!" "Great Experience with rivercity washers! I will recommend to my family and friends!!" "The Washer Boards Were a Hit!!" "These washers are great and better quality than I expected"